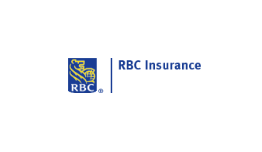 RBC Insurance, through its operating entities, provides a wide range of creditor, life, health, travel, home, auto and reinsurance products to more than five million North American customers. This is the largest Canadian bank-owned insurance organization and one of the fastest growing insurance companies in the country. RBC Insurance leads in the Canadian creditor, individual living benefits and travel insurance markets and ranks sixth in new individual life insurance premiums in Canada. It is also ranked 35th in Standard & Poor’s 2003 global top 40 reinsurance groups listing. The life business provides a wide range of individual and group life and health insurance solutions, as well as life retro-cession to individual and business clients in Canada, the U.S. and select international markets. Headquartered in Greenville, S.C., RBC Insurance offers life insurance, annuities and travel insurance through its legal entities, Liberty Life Insurance Company and RBC U.S. Insurance Services Inc.
Liberty Life Insurance Company provides a wide range of insurance protection and retirement income products including life insurance, critical illness and cancer expense insurance, and annuities to consumers through independent marketing companies, regional and independent broker dealers, the Internet, other direct marketing channels and a field force of approximately 200 full-time career agents. RBC U.S. Insurance Services Inc.
As the agency for the US travel insurance division of RBC Insurance, RBC U.S. Insurance Services Inc. 1 distributes comprehensive trip cancellation and interruption products as well as emergency medical and travel assistance services, primarily through travel agents.